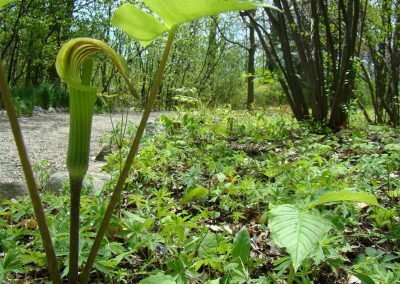 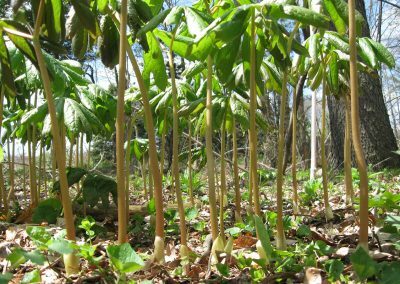 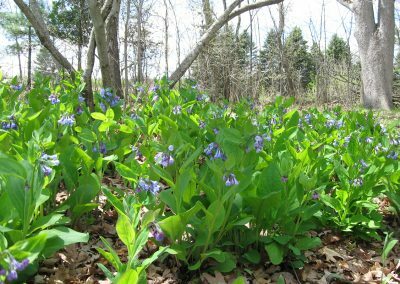 More than 100 native species of ferns, woody plants, and spring wildflowers of the southern Great Lakes Region thrive here. 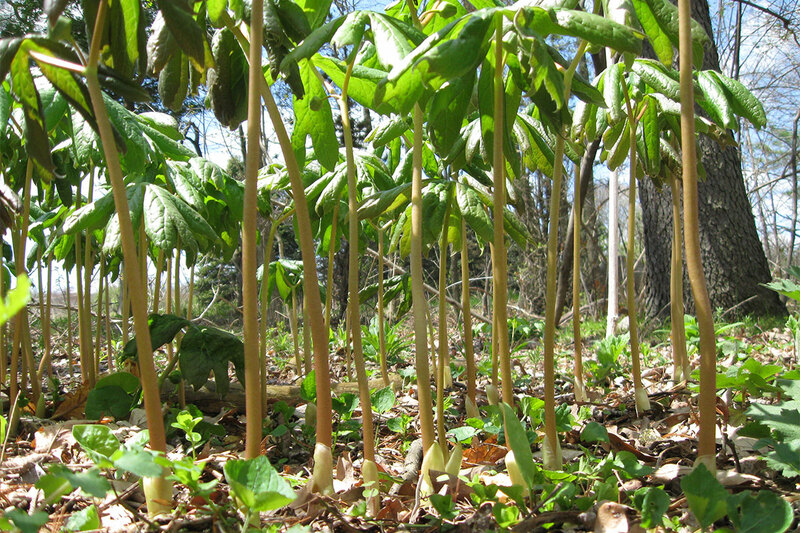 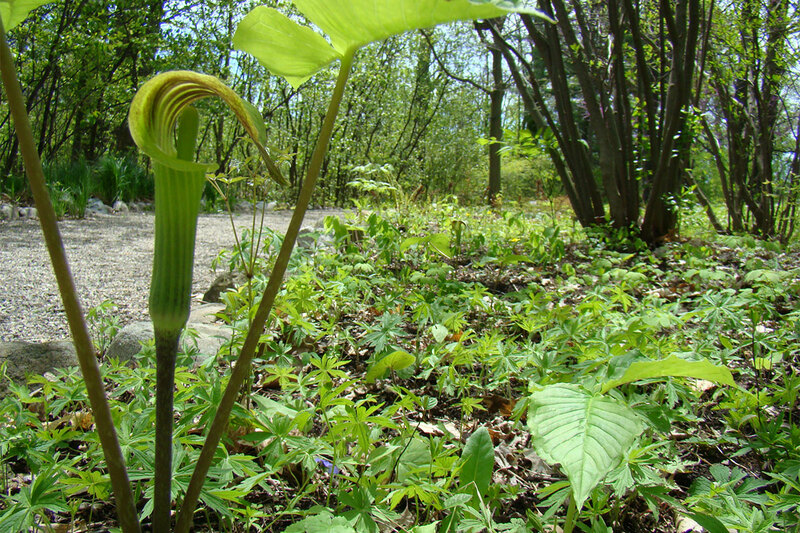 Here, visitors can enjoy and learn about many of the native plants found throughout the region. 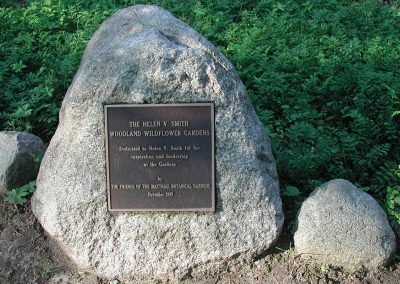 It also serves as an example of naturalistic garden design using indigenous plants. 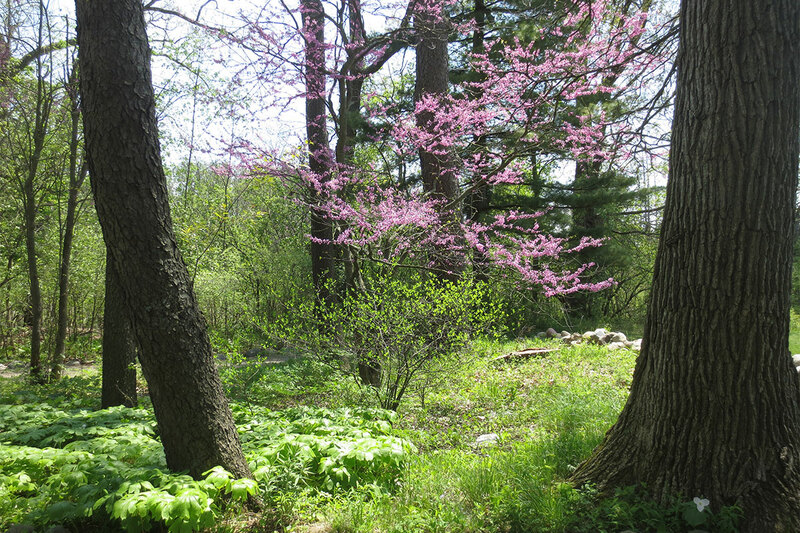 Scroll down for a gallery of photos from the Helen V. Smith Woodland Wildflower Garden. In mid- to late April delicate blooms of spring beauty (Claytonia virginica), twinleaf (Jeffersonia diphylla), and bloodroot (Sanguinaria canadensis) open. 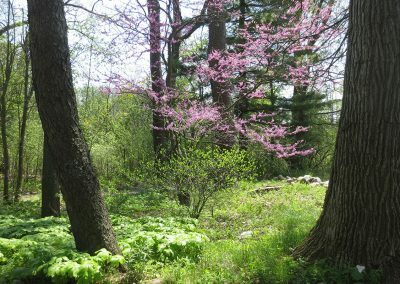 May is the peak season when many of the species bloom under the canopy of flowering redbud (Cercis canadensis) and flowering dogwood (Cornus florida). 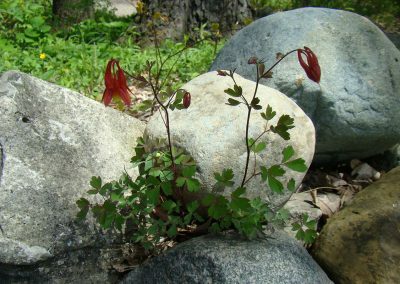 As summer arrives and blends into fall, bold clumps of ferns unfold followed by scatterings of color from flowers and berries. 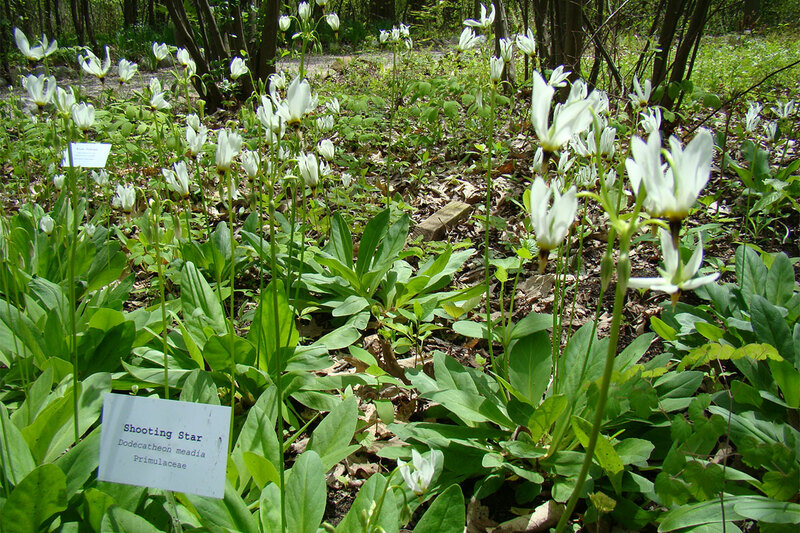 The Helen V. Smith Woodland Wildflower Garden is at Matthaei Botanical Gardens. 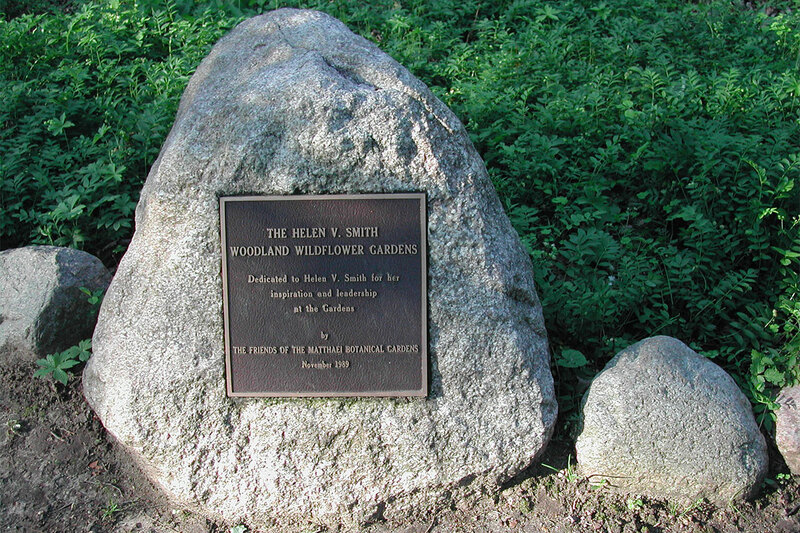 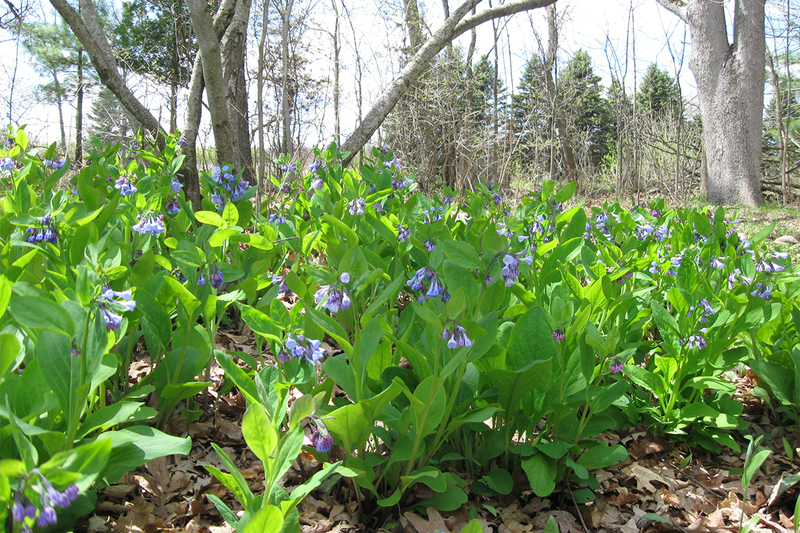 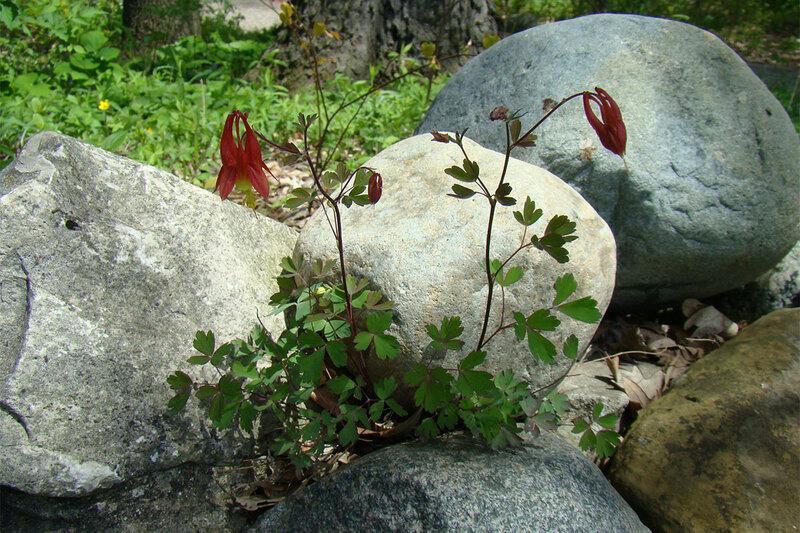 It is named in recognition of Dr. Helen V. Smith, author of Michigan Wildflowers (1961). 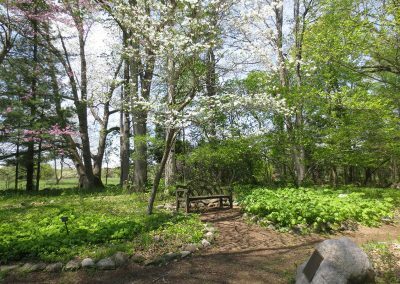 She was a strong leader in the Friends of the Matthaei Botanical Gardens, instrumental in creating the Woodland Wildflower Garden, and committed to maintaining the garden during its early years. 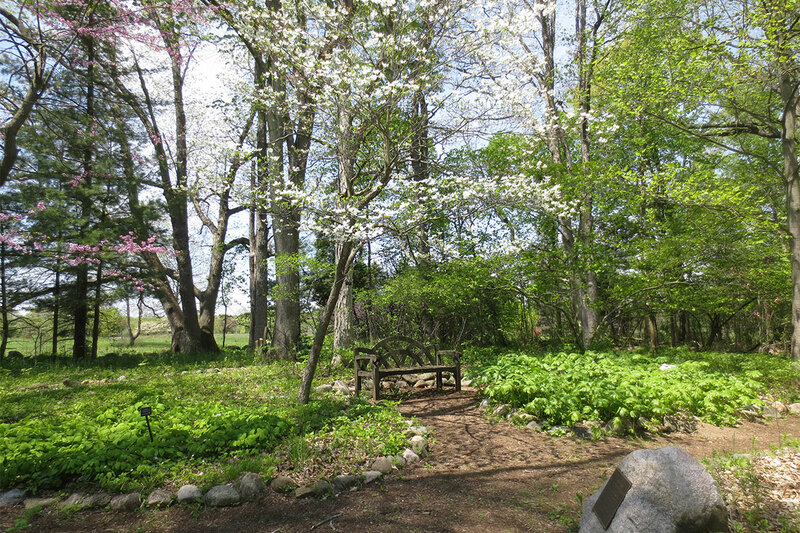 Our gardens need private support and provide donors with many giving opportunities and recognition. 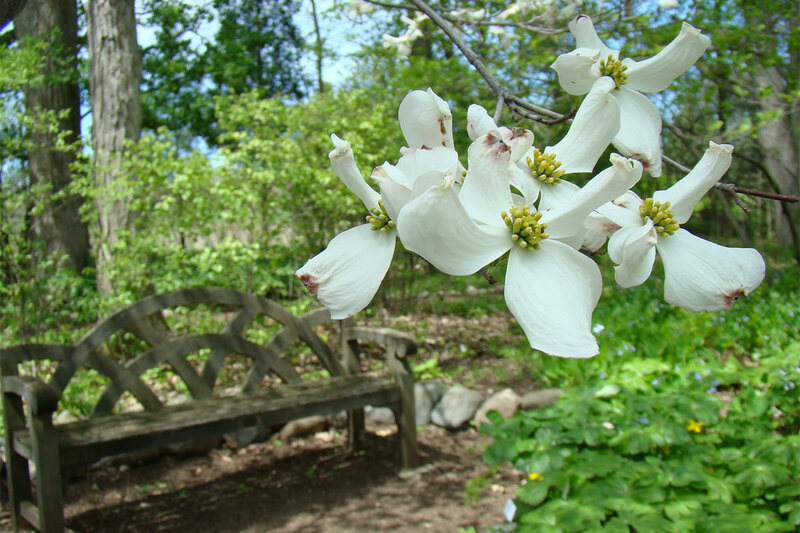 For more details, please contact our director of development, Meredith Olson: merolson@umich.edu; 734.647.7847.